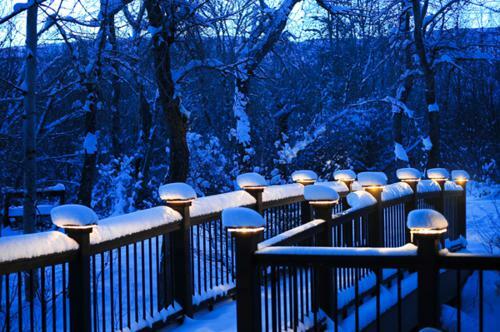 One type of deck lighting is post cap lights. These are basically a light encased in a post cap. There are many different choices of materials for these: some are plastic, some have copper or a painted metal, and there are also some fantastic glass shapes in art deco and modern shapes. Some post cap lights incorporate a small solar cell into the cap so that the light will be powered by battery at night and charge during the day. If the lights are not solar powered, a low voltage system will have to be installed preferably by a skilled electrician. 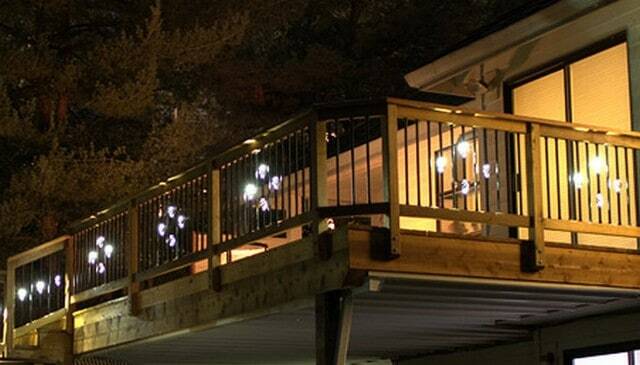 A good deck railing idea is putting lights on the sides to install deck lighting. Again, these light fixtures come in many styles, shapes, designs and materials so there is definitely something to match your home. 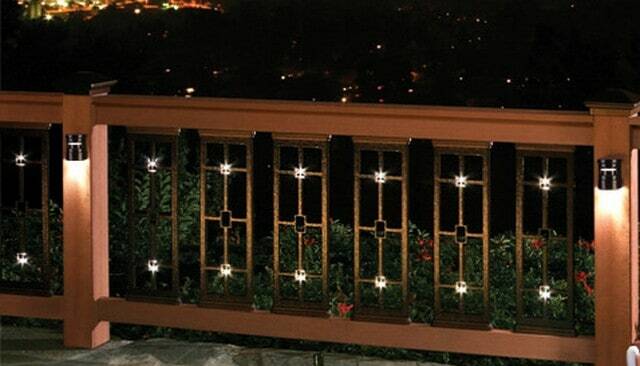 These lights can be installed on the sides of the posts, on the face of the railing or on the underside of the top or bottom rails. 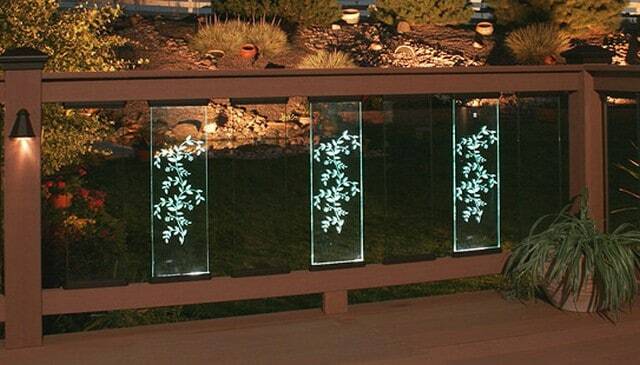 In any case, these lights will add some exciting accents and shadows to your deck. Deck lighting can also be installed on the deck stairs. These lights are a super-helpful addition for safety since navigating stairs at night can be treacherous and dangerous. After these are installed, the stairs will be much easier to navigate. A good addition here is to install a light for the banister so that it is also visible.